It is an action RPG, epic in scale, set in the Medieval period, specifically during the Hussite Wars (fought in Europe in the first part of 15th century), and powered by the CryEngine 3. 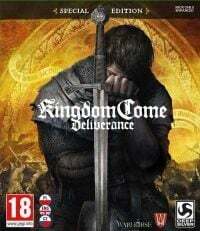 Kingdom Come: Deliverance for PC, PS4 and XONE is a realistic RPG set in Central Europe before the bloody Hussite Wars that took place in the 1430s. The player assumes the role of a young blacksmith and explores the rich, open world of the Middle Ages. Kingdom Come: Deliverance was developed by the independent Warhorse Studios which employs the creators of Mafia, among others. As far as gameplay and open world are concerned, the developers drew inspiration from games such as Skyrim and Mount & Blade. The challenging combat system was modeled after Dark Souls, while the storytelling style was borrowed from The Witcher, among others. One of the game’s hallmarks, often emphasized by its developers, is its realism. It can be seen, for example, in the extensive combat system, based on realistic and complex mechanics. The player can move in any direction and launch precise attacks aimed at various points of an opponent’s body. We can also carry out special attacks and combine strikes into combos. It is also noteworthy that the entire system is based on realistic physics, therefore every sword movement causes natural reaction of physical objects with which it interacts (so we can, for instance, bounce off an enemy’s sword in a desired direction). The game’s realism is further emphasized by the fact that the food spoils and a character can wear up to four layers of clothes and armor. While designing the main story and side quests, the developers focused on quality rather than quantity. The fruit of their labor is a significant freedom of approach, e.g. a task can be accomplished without resorting to violence or with a well-placed bribe. Dialogues also play a major role in the story. During conversations, we have limited time to choose one of the available options and these decisions impact the way non-player characters view our hero. From among many gameplay elements particularly noteworthy is the crafting system, based on mini-games. It allows for the creation of new equipment as well as potions and alchemical ointments. Throughout the game we will also witness grand battles and spectacular sieges. Kingdom Come: Deliverance on PC, PS4 and XONE is powered by a modified version of CryEngine 3, thanks to which the game boasts effective graphics and high-quality details. The game world’s richness is also due to the fact that it is based on real places, such as medieval Czech strongholds. It turned out to be a great idea, for the locations not only feel realistic, but also create a unique atmosphere. This comprehensive game guide to Kingdom Come Deliverance contains valuable tips, hints and a detailed walkthrough for the medieval RPG. It includes starting tips for beginners, combat guide, trophies and achievements, quest description, and maps. Check out how to survive in the Kingdom Come!